T&T Photography by Tonya loves capturing this very special and delicate time. Your newborn photography session happens within the first 4-10 days after birth. There are several reasons for this. One reason is that the baby will sleep the most and be most peaceful during this time. This allows me to move and position your newborn baby into unique positions. The newborn session usually takes place at Tonya’s home studio located in Holly Springs, or in the comfort of your home for a Lifestyle Newborn session. After the pre-session consultation, we can determine which location will best fit your needs and wants. 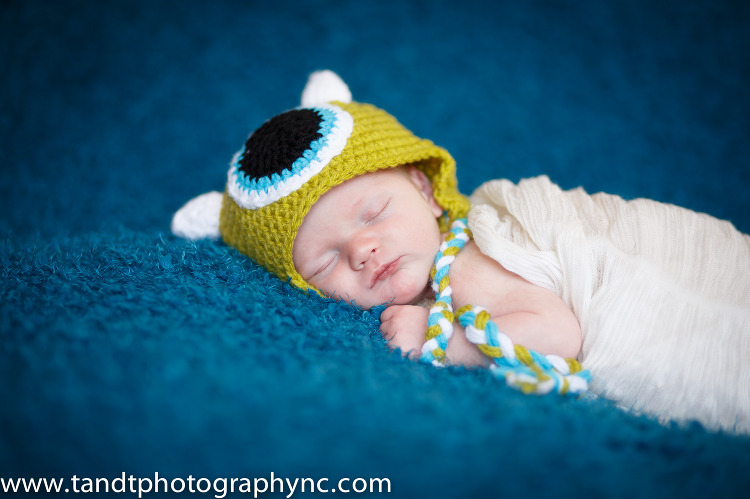 Newborn photography takes precision, attention to detail, and creativity. T&T Photography by Tonya provides some blankets, hats and headbands to pick from. However, I encourage you to provide any additional props and such. Newborn photography requires a great deal of patience. I am blessed with a calming presence for not just the newborn, but for the new parents as well. Using a number of soothing techniques, I take the extra time needed to get that special smile and the tiny details of your new bundle of joy. From their hairline, to their tummy to their tiny toes no detail is missed.